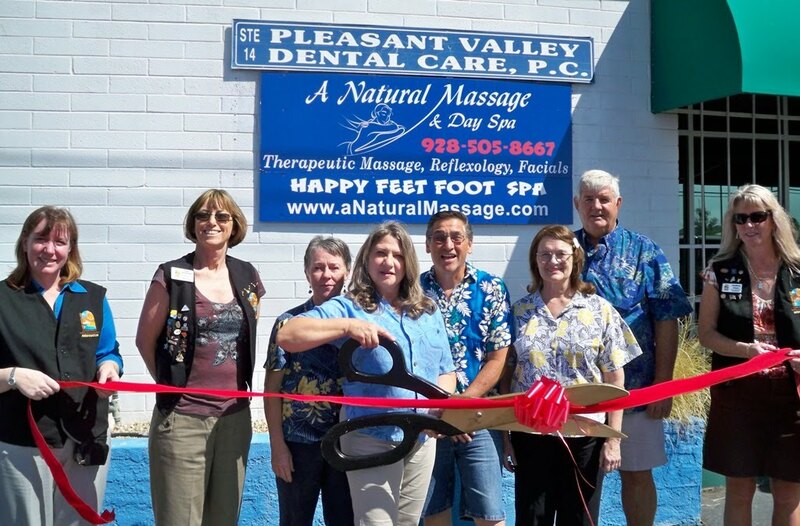 A Natural Massage celebrated its 10 year anniversary with a ribbon cutting by the Lake Havasu Area Chamber Ambassadors. Specializing in Therapeutic Massage plus Swedish, Pregnancy, & Hot Stone Massage there is sure to be something for everyone. Also available is face toning, hot oil scalp massage, body treatments and home of happy feet foot spa. Male and female Arizona licensed therapists are available as well as gift certificates. On hand for the ribbon cutting were: Jeanette Luhr, Gail Kolesar, Glorya Sabin, Julie Ryan, Larry Chavez, Rose Baldwin, Jack Rogerson and Audrey Hoyt. A Natural Massage is located at 2178 McCulloch Blvd. N., Ste #12 and can be reached by calling 505-8667 or on the web at www.anaturalmassage.com.